Our target markets are online tutoring companies looking for online whiteboard software, designers, architects, artists, as well as businesses who are looking for online whiteboard collaboration. 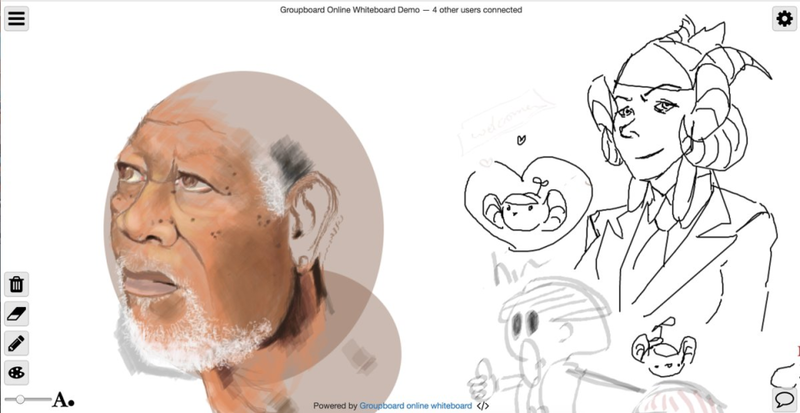 Groupboard is a free online whiteboard and chat app that can be easily embedded into your website. It works on any web browser including iPhone, iPad and Android with no downloads or plugins required. We have been developing online whiteboard and collaboration software since 1998, and our software is used by many schools, universities and online tutoring businesses around the world. I really enjoy groupboard its a great place to come and draw with other artists, and make friends. Pros: It's many functions, zoom in, and opacity settings, as well as drawing features. 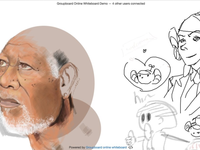 The ability to draw online with others from all over the country, and make friends. It's a great software that is very useful and fun to use. Overall: I enjoy using it and drawing with other artists and friends. As well as being able to communicate with them easily. Pros: The ease of use. In under a minute you can ease of use. In under a minute you can be up and doing your work. I find the process easy to do. Some times, depending on the computer, audio quality is not great. Pros: It's price. That it is necessary to download plugins.Customer rep is very approachable and he is willing to help and troubleshoot. Cons: I find it hard to write with my styler. My writing is not legible sometimes. I attempted to change to different writing stylers but it did not make much difference. It is really easy to use and is very useful for tutors and students. Pros: Can be copied into your own webpage using an iframe and customized using a control panel. Persistent whiteboard (contents remain after all users have logged off). Real-time online whiteboard, chat, message board. Cons: It would be nice if they add more languages like Thai and Vietnamese. Also, It would be really great if they have some plugins like for Wordpress and Slack etc.